In 1961 moral philosopher and political theorist Hannah Arendt, a Jew, watched the trial of Adolf Eichmann (April – August), the architect of moving Jews to the Nazi gas chambers. She was surprised to discover that he was “neither perverted nor sadistic”. Instead, she wrote, Eichmann and many others just like him “were, and still are, terrifyingly normal”. In his defense, Eichmann and many other Nazis argued they were simply law-abiding men implementing the ordered policies of their government – policies that included exterminating millions of people.1 Arendt described the capacity of ordinary people to commit extraordinary evil as a result of social pressure or within a certain social setting, as “the banality of evil”. Retired Army Lt. Col. Dave Grossman, a professor of military science, has argued that humans have a deep, innate resistance to killing that requires the military to develop special training techniques to overcome.6 I had been unable to thrust my bayonet into a dummy during my USAF ranger training. But if I had been an army grunt instead of an Air Force officer, and a few years younger, I wondered, would I have killed on command? The military was very unhappy when I refused to use my bayonet, because the military is well-aware that men can only be made to kill by coercion. The tyranny needed to make an army work is fierce, as it knows it cannot allow dialogue about its mission and must quickly patch any cracks in the blind obedience system. As Milgram reported, “the defection of a single individual, as long as it can be contained, is of little consequence. He will be replaced by the next man in line. The only danger to military functioning resides in the possibility that a lone defector will stimulate others”7. My commanders placed me on the Officer Control Roster, meted out royal scoldings behind closed doors of their offices, threatened to charge me with court-martial offenses, shamed me over and over, and accused me of being a coward and traitor who was creating morale problems that interfered with our mission. I was ordered out of Viet Nam a month earlier than scheduled, and there was threat of a court-martial which fortunately never materialized. Zimbardo suggests a flip side to the social pathology of obedience to authority. Citing situational historic acts of heroism by a number of people including Rosa Parks who refused to sit in the “colored” section of the bus, McCarthy-era truth-telling journalists George Seldes and I.F. Stone, Army Sergeant Joe Darby who exposed the Abu Ghraib tortures, the first responders to the World Trade Center collapse on 9/11, Army Warrant Officer Hugh Thompson’s intervention in the My Lai massacre along with his two door gunners, Glen Andreotta and Larry Colburn, and the repeated historic actions over a lifetime as exhibited by people such as Mohandas Gandhi, Zimbardo suggests the capacity of humans for the “banality of goodness” or the “banality of heroism” as well. But it does require certain situational factors and conscious preparation to constrain the systemic forces that tend to shape us into automatons capable of monstrous acts. At Concord, CA Naval Weapons, we called ourselves Nuremberg Actions, honoring with the presence of our bodies the Principles of Nuremberg, which prescribe disobedience to illegal orders and encourages ordinary citizens to do whatever they deem reasonably necessary to stop government crimes. (The Nuremberg Principles emerged out of the Nuremberg trials conducted by the Allies to prosecute Germany’s Nazi war criminals following World War II.) I believe that each of us chooses our path in life. 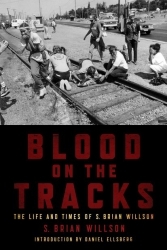 The train crew on September 1, 1987 chose to follow illegal orders to not stop, and for that I condemn them. But I also have empathy for them. They are living the way I used to live; they were brainwashed as I was into believing they were protecting the American Way Of Life when accelerating the train running us over. They later sued me for traumatic stress. I’m sure they do have post-traumatic stress syndrome, but I am not the cause. The cause of their stress, and mine, is a system that runs roughshod over individuals even while demanding our dumbed-down obedience to authority. I don’t want my life defined by a bunch of White men (or anyone acting like them) who ask others to kill and risk being killed to protect their money or career/ego interests. Was the purpose of thousands of years of evolution merely to send young people like me to Viet Nam and other countries to risk our own lives as we are ordered by another person to kill other, usually stranger men and women? I don’t think so. But to be true to myself, I have had to learn the art of constructive disobedience. Obedience has been our paradigm for so long, that apparently we need an epistemological break to shatter our passive obedience to vertical authority. We are capable of developing a deeper consciousness that mindfully disobeys top-down authority while seeking wholeness in community. Lewis Mumford, an intellectual giant and cultural historian, and contemporary of V. Gordon Childe, echoes this: “What the human mind has created, it can also destroy”.10 And, therefore, we create anew. As a young man, I believed in the American Way Of Life. Just obey! Don’t question our formula for success, or our way of life. It is the greatest! Obedience of the masses enables power to preserve its control. But after tragedy, trauma and struggle, I began discovering a different Brian. When I was born on the fourth of July in 1941, I was born into the American Way Of Life. Embedded deeply within me, and each of us, however, are our species’ characteristics of cooperation and mutual respect, developed in small groups that prevailed until the advent of hierarchical “civilization” and its required obedience some six thousand years ago. I now realize that it is the American Way Of Life that is truly AWOL. As with all empires, it took a criminal departure from our deepest humanity. If my journey has a direction, it is to rediscover the psychological, spiritual wholeness that the Western way of life discourages and discards. Another huge change occurred around 5,500 years ago, or 3500 BCE, when these relatively small Neolithic villages began mutating into larger urban “civilizations.” Domestication of plants and animals was followed by the domestication of people—creating slavery, class divisions, and imperial societies whose expansion was driven by the acquisition of more materials (and profits) enabled by slave labor. Over time, civilization, which we have been taught to think of as so beneficial for the human condition, has proven severely traumatic for our species, not to mention for other species and the earth’s ecosystem. As modern members of our species (excluding the lucky Indigenous societies that somehow escaped assimilation), we have been stuck in this model of large vertical power complexes requiring massive obedience now for three hundred generations. With “civilization,” a new organizational idea emerged—what cultural historian Lewis Mumford calls a “megamachine” comprised totally of human parts to perform tasks on a colossal scale never before imagined.11 In Mumford’s analysis, civilization saw the creation of a bureaucracy directed by a power complex of an authority figure (a king) with scribes and speedy messengers, which organized labor machines (masses of workers) to construct pyramids, irrigation systems, and huge grain storage systems among other structures, all enforced by a military. Its features were centralization of power, separation of people into classes and lifetime division of forced labor and slavery, arbitrary inequality of wealth and privilege, and military power and war.12 Mumford makes clear his bias that autonomy in small groups is a human archetype that has become repressed in deference to obedience to technology and bureaucracy. The creation of human urban civilization has brought about patterns of systematic violence and warfare previously unknown,13 what Andrew Schmookler calls the “original sin” of civilization,14 and Mumford, “collective paranoia and tribal delusions of grandeur”15. This trauma is exacerbated by the acceptance of vertical authority structures that require us to bury unpleasant feelings of unworthiness and invalidity that are associated with class. These feelings can quickly turn to shame, a dreaded emotion that remains buried so deeply in our psyche that we normally do not recognize it. 1. Hannah Arendt, Eichmann in Jerusalem: A Report on the Banality of Evil (1963; New York: Penguin Books, 1994), 276. 2. Lisa M. Krieger, “Shocking Revelation: Santa Clara University Professor Mirrors Famous Torture Study,” San Jose Mercury News, December 20, 2008. 3. Stanley Milgram, “The Perils of Obedience,” Harper’s, December 1973, 62–66, 75–77; Stanley Milgram, Obedience to Authority: An Experimental View (1974; New York: Perennial Classics, 2004), 6–8, 11. 5. In general, see Philip Zimbardo, The Lucifer Effect: Understanding How Good People Turn Evil (New York: Random House, 2007). Zimbardo distinguishes dispositional (personal) factors, from situational (social) and systemic (political) ones, concluding that the situational is far more powerful than the other two. 6. Dave Grossman, On Killing: The Psychological Cost of Learning to Kill in War and Society (Boston: Little, Brown, 1995). 8. See, for example, John Taylor Gotto, Dumbing Us Down: The Hidden Curriculum of Compulsory Schooling (Philadelphia: New Society, 1992), that describes a typical school mandate of teaching kids indifference and passivity while shattering their self-esteem, in effect a cruel assault on their humanity through a system of bells, grades, constant evaluation and various forms of coercion and punishment that ensure conformity and downright stupidity; Ivan Illich, Deschooling Society (New York: Harper & Row, 1971) describing the process of how our society treats learning as a commodity that has created a generation of obedient, compliant people who follow rules without ever questioning whether their obedience interferes with their morality or values; or Paul Goodman, Growing Up Absurd: Problems of Youth in the Organized System (New York: Random House, 1960), 5, that describes how the child takes on the whole corresponding pattern of culture such that it diminishes discrimination, intellect, feelings, etc., such that he/she becomes too obedient and lacking in initiative or impractically careful and squeamish. 9. V. Gordon Childe, Man Makes Himself (1936; New York: New American Library, 1983), xviii–xix, 179–80. Childe was an Australian archaeologist who, in this brilliant essay, synthesizes archaeology with philosophy, history, and the social sciences, arguing that the first significant break in humans’ past was the shift from Old Stone Stage food-gatherers to New Stone Age agriculturalists, what he called the Neolithic Revolution. The second break was the emergence of urban dwellers from the New Stone Age agriculturalists, to what he called the Urban Revolution. The latter produced the new idea of civilization, which led to plundering empires that were, in effect, tribute-collecting machines maintained by war for the benefit of the vertical monarchies. The vast majority of people, however, suffered from severe degradation. But Childe insists that nothing that humans create is fixed and immutable, that “Man makes himself”, that choices for change are always available. 10. Lewis Mumford, The Myth of the Machine: The Pentagon of Power (1964; New York: Harcourt Brace Jovanovich, Inc., 1970), 421. 11. Mumford started critiquing civilization in the early 1920s. Among his works are two complementary books: The Myth of the Machine: The Pentagon of Power (1964; New York: Harcourt Brace Jovanovich, Inc., 1970) and The Myth of the Machine: Technics and Human Development (New York: Harcourt, Brace & World, Inc., 1967). Mumford, born in 1895 in urban Flushing, New York, was a brilliant observer of the traumatic effects on humans and the earth of so-called civilization, and his thinking on the long view remains extremely illuminating. 13. Ashley Montagu, The Nature of Human Aggression (Oxford: Oxford University Press, 1976), 43–53, 59–60; Ashley Montagu, ed., Learning Non-Aggression: The Experience of Non-Literate Societies (Oxford: Oxford University Press, 1978); Jean Guilaine and Jean Zammit, The Origin of War: Violence in Prehistory, trans. Melanie Hersey (2001; Malden, MA: Blackwell Publishing, 2005). 14. Andrew B. Schmookler, Out of Weakness: Healing the Wounds That Drive Us to War (New York: Bantam Books, 1988), 303. 16. First published in serial 1899, book 1902: Heart of Darkness, written by Polish-born English novelist Joseph Conrad (1857–1924), was originally published in 1899 as a three-part series in Blackwood’s Magazine (U.K.). It is considered one of the most-read works of the last hundred years, largely an autobiographical description of Conrad’s six-month journey in 1890 into the “Congo Free State,” at the time being plundered by Belgium. In fact the story could apply to almost anyplace in the world where European nations, later the United States, plundered peoples for profits and material privileges without acknowledging the terrible, ugly consequences. Francis Ford Coppola’s 1979 movie Apocalypse Now translates the “Heart of Darkness” to Viet Nam and Cambodia. Adam Hochschild’s King Leopold’s Ghost (New York: A Mariner Book, 1999) describes the diabolical exploitation of the Congo Free State by King Leopold II of Belgian between 1885 and 1908. Estimates of murdered Congolese in this period run as high as 13 million. Please don’t read this as if this is something that the United States or other European nations would not do, or have not done. Indeed the U.S. and Europe are founded on these practices, all under the cover of “civilization”. 17. Riane Eisler, The Chalice and the Blade (San Francisco: Harper & Row, 1987). 18. James Hillman, A Terrible Love of War (New York: The Penguin Press, 2004), 17. 19. Etienne de la Boetie, The Politics of Obedience: The Discourse of Voluntary Servitude, trans. Harry Kurz (ca. 1553; Montreal: Black Rose Books, 1997), 46, 58–60; Eisler, 45–58, 104–6. 20. Roszak, Gomes, and Kanner, eds , Ecopsychology: Restoring the Earth, Healing the Mind (San Francisco: Sierra Club Books, 1995). Ecopsychology concludes that there can be no personal healing without healing the earth, and that rediscovering our sacred relationship with it, i.e., our intimate earthiness, is indispensable for personal and global healing and mutual respect. 21. Michael A. Milburn and Sheree D. Conrad, The Politics of Denial (Cambridge, MA: The MIT Press, 1996), 1–29. 23. Alice Miller, For Your Own Good: Hidden Cruelty in Child-Rearing and the Roots of Violence (New York: Farrar, Straus, & Giroux, 1983), 3–91. 24. James Gilligan, Violence: Reflections on a National Epidemic (New York: Vintage Books, 1997), 1–85. 25. Barbara Ehrenreich, Blood Rites (New York: Metropolitan Books, 1997). 26. Peter Kropotkin, Mutual Aid: A Factor of Evolution (Montreal: Black Rose Books, 1902, 1989. This entry was written by brian, posted on at 11:32 pm, filed under Brian's Blog, Challenging Traditional Patriotism, Root & Structural Causes of War. Bookmark the permalink. Follow any comments here with the RSS feed for this post. Post a comment or leave a trackback: Trackback URL. LCD panels contaon 2 layers of an glass-type material hat happen tto be polarized and “glued” together. the paintings really draw me in. the beacons that will maintain your darkness and all evil at bay. dice if they invade a certain territory with several armies. internet’. I love the Neopets economy,its interestting to observe it change and grow. If you are looking to get a machine that will make a powerful statement about you and which assists you handle jobs faster, then you can definitely be assured that you will find a property using this Apple jewel. jobs are complete and that happen to be pending from the dashboard feature. Site – Bild – Z is made by Joe Russell, co-creator from the planet’s leading advertising robot application, SEnuke.